My name is Eric. 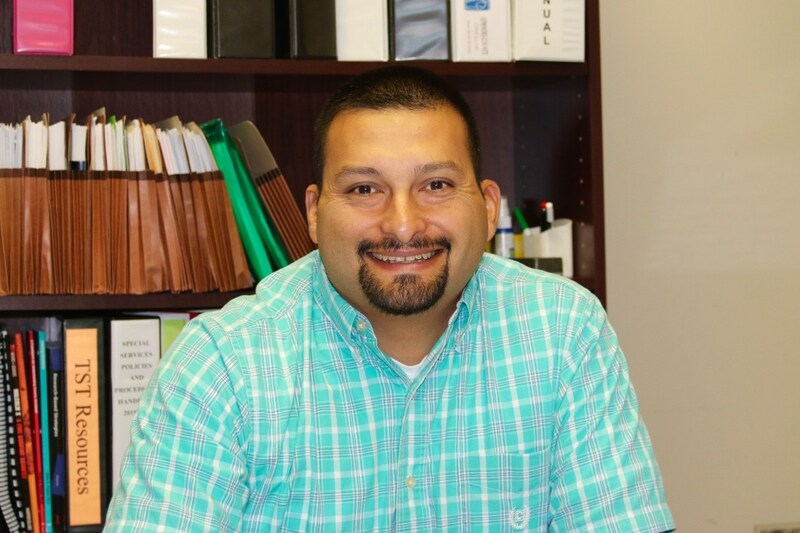 S. Guerrero and I am honored to be the Assistant Principal here at West Lowndes High School. With fifteen years of experience as an educator, I am excited to take on this new role. It is my pleasure and privilege to assist Mrs. Stefanie Jones in making WLHS have a successful school year. I began my teaching career at St. Joseph Catholic School in Madison, Ms. From there, my wife Christiana and I moved to Columbus and began teaching at New Hope Middle School. I have degrees from Belhaven University and MUW. Our goal at West Lowndes is to create a positive learning environment and to support our teachers as they engage every student to reach their greatest potential. We welcome parent/guardian involvement and participation in our school. Together we can truly make West Lowndes "The Pride of the West Side!" I am glad to be a part of the Panther family and I am looking forward to a great year. "Education is a Gift that none can take away"